How can all of this fit into your operational strategy? Async Function Tracking- What is This and Why? 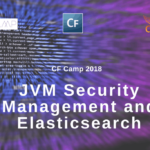 With the 2018 CF Camp in Munich inching ever closer, we now turn our sights to application performance monitoring. My good friend Charlie Arehart is going to be giving a great session on the #1 monitoring solution for CF and Lucee–FusionReactor. Charlie, along with Intergral CEO David Tattersall, will give us a breakdown on just how FusionReactor has been able to help CF’ers get to the root of their performance problems. Not only that, but to celebrate its 20th anniversary, Intergral is giving away a free developer’s copy of FusionReactor to every attendee at this year’s session! This is one of the cannot-miss sessions of the conference. Be sure to book your conference ticket before time runs out. Don’t miss out on this golden opportunity! That’s a great definition, but what does it actually mean? In simple terms, APM is an early warning system used to detect minor bugs before they become major issues. APM is one of the deepest roots of modern troubleshooting. By analyzing your application’s data and trends, you can ultimately begin to minimize the slowing of your servers and apps. Or even worse– the dreaded downed server. Over 73% of organizations experience loss of productivity due to performance slowdown in the application. A 1-sec delay in website loading time can result in a 7% reduction in conversion and up to 16% decrease in customer satisfaction. That should hardly be surprising. In today’s digital world, transactions happen almost instantaneously with the press of a button. Consumers nowadays tend to have little to no patience for slow sites and crashing applications. This is why performance monitoring is so critical for your business. As CIO you need to be privy to certain aspects of your application because they can directly affect your bottom line. Your application should respond as designed. The applicable backend processes are being executed at the proper times. If there is a source of app slow, you must know where that source is. If there is a problem or unaccounted for issue in your application or server, you must know about it. Unlike other C-suite execs, CIOs don’t always have the benefit of unified dashboard analysis and results. The information sector of many businesses is often spread throughout many teams which may only interact within their realms. Developers and coders deal strictly with constructing apps. IT personnel may deal with server upkeep and office troubleshooting. Normally, these groups have their own tools and structures specific to their area. This can make seeing the big picture quite a bit more stressful for CIOs. One step to counter this is to be proactive about your performance monitoring strategies. As CIO you should be one of the first people to know that you are having an issue with your applications or servers. YOUR CUSTOMERS SHOULD NEVER BE YOUR FIRST LINE OF DEFENSE! By being proactive with your performance monitoring, you will have the ability to locate potential issues first and get a head start on tackling them. Generally speaking, operational strategies fall into 3 separate categories. These are the pillars in which your company will use to succeed. However, how can a pillar stand without a foundation? The foundation for these is actually your own company infrastructure. This includes your organizational strategies, applications, servers, etc. Your foundation keeps your business stable, secure, and scalable. That is why it behooves you be proactive at monitoring your company’s application performance. Thankfully for CFML users (both ColdFusion and Lucee alike), we have a tool that conveniently helps to keep our application performance monitoring in check. FusionReactor boasts to be the only APM (Application Performance Monitor) which includes high-level instrumentation combined with low-level profiling and debugging and can be used right across the whole Software Development Life Cycle (SDLC). During our 2018 State of the CF Union Survey, almost half of all CF’ers polled use FusionReactor as their monitoring tool of choice. Aside from individual success stories, Adobe actually promotes and recommends using FusionReactor. FusionReactor makes bold claims, and they have the chops to back them up. 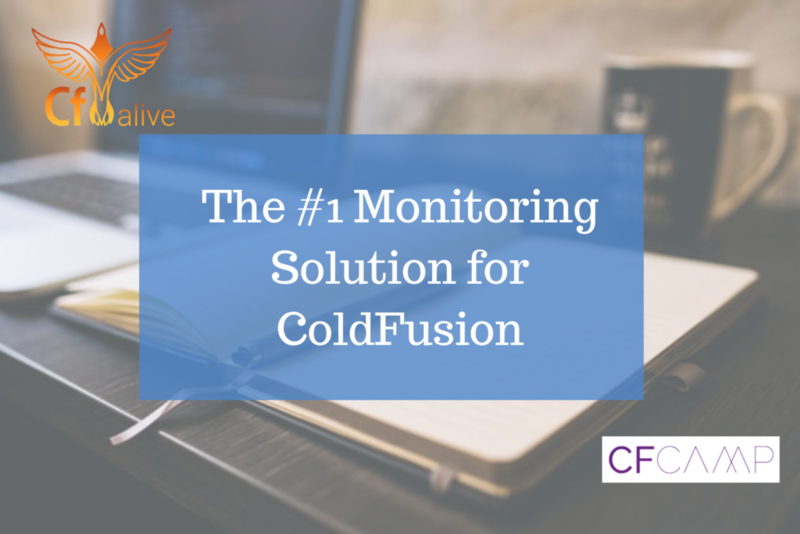 Currently, ColdFusion metrics are available for ColdFusion 8, 9, 10, 11, and CF 2016. 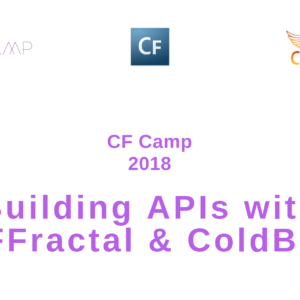 Features and metrics are also in development for ColdFusion 2018. FR’s stacktrace feature can also specifically target ColdFusion related problems and eliminate them. As far as CF (as well as Lucee and Railo) is concerned, FusionReactor is hands down the best monitoring option for your application performance. FusionReactor is not just an application performance monitor. 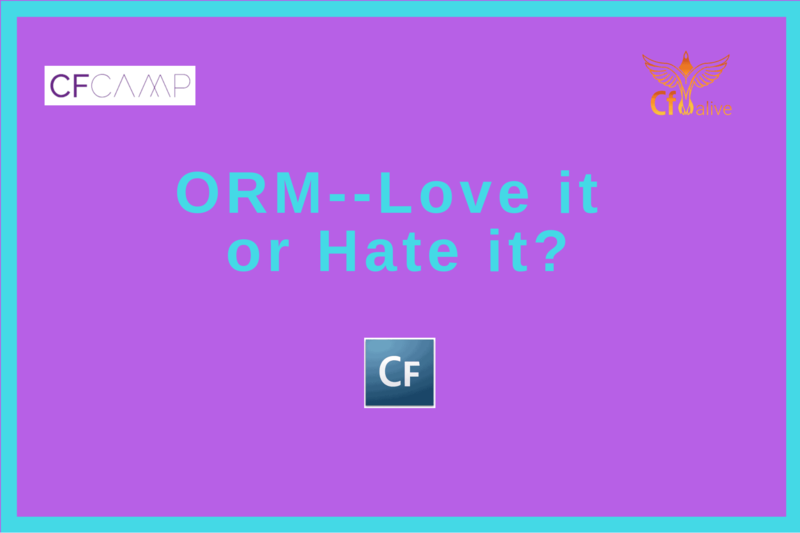 It has a great number of other features to help you improve your CFML and your application output. Here are some features you can expect when using FusionReactor. FR comes with a fully functional IDE style debugging browser console. This tool has the ability to perform stack trace and variable context operations anywhere in your code. Simply run FR and set a breakpoint. Afterwards, you will receive an email with detailed results. It’s just that easy. This remote style debugging can be performed on any JVM or Docker container as well. This kind of flexibility makes FusionReactor one of a kind. With the purchase of the FusionReactor Ultimate Edition, you will receive an integrated, low-overhead Java code profiler. This tool seeks out and detects poorly operating code with your production environment. This code profiler works for any transactions running on the JVM– i.e. 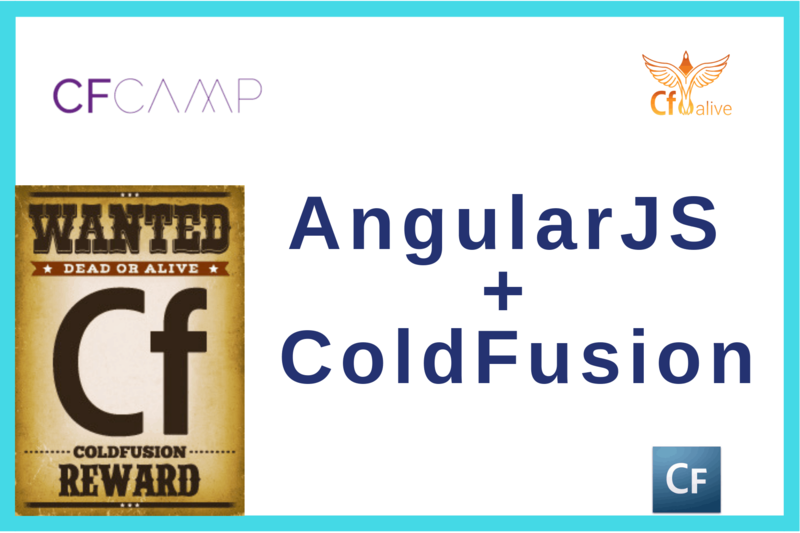 ColdFusion. The memory profiler instantly identifies memory leaks and optimizes your memory usage. Memory issues are quickly identified via FR’s Heap Snapshot tool. Snapshots can be taken at anytime and easily compared. The memory profiler also analyzes the roots of your Garbage Collector to ensure you are maintaining your highest level of memory performance. The Crash Protector keeps your applications safe through three key points. With this feature, you can monitor exactly what your customers are experiencing from the moment they enter your page until after they have left. You can get exact runtimes and delays for every request they make. This can help you locate unnecessary delays and fix accordingly. FusionReactor monitors your database by capturing and analyzing all data related to your SQL statements. This can not only help you monitor your SQL statements for security purposes, but help to eliminate bottlenecks and improve performance. This system monitoring feature helps you to keep track of the general health of your system. Ranging from CPU and memory usage to Network Traffic and Disk I/O, your system’s resources are kept under FR’s watchful eye. The system monitor will also alert you to conditions such as reaching disk space capacity. *Note: All of these features come free with the FusionReactor Ultimate Edition. Standard and Enterprise Editions vary on provided features. 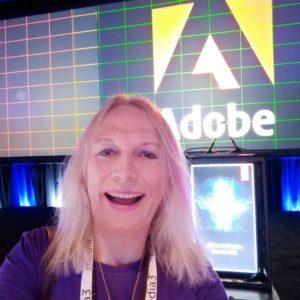 During the release of ColdFusion 2018, Adobe introduced asynchronous functions to CF. So in order to properly monitor your ColdFusion, Intergral released Async Function Tracking as part of its FR 7.4.1 update. These async functions will be tracked as a child transaction of the web request. This addition allows you to track whether any asynchronous calls you are making in your CFC/CFM files are slowing down your requests. In previous versions of FusionReactor, the only way this was possible was to use the debugger or profiler. Now, each async call is tracked as a child request of the CFC/CFM script it was executed inside. This makes it visible in the relations tab of the requests details, due to the nature of the asynchronous call. It is only possible to link a transaction back to the CFC/CFM script after the async function is complete. This support allows you to spot if one of these tags would be slowing down a CFC / CFM call made within your CFML application. Before, you could only be able to see that a CFC / CFM call was slow. However, it did not explicitly identify what was causing this without using the production debugger and profiler. For each tag, each attribute is tracked as a transaction property. What this means is that it allows you to see exactly what variables are being used by the tag. There is one exception to this– the password– which will not be tracked in FusionReactor.Each tag is tracked as a child request of the CFC/CFM script it was executed inside. This means it will be visible in the relations tab of the request details. The child request will be generated in FusionReactor as soon as it begins executing thus making it visible under the Requests activity page as a relation. The ever-evolving and growing FusionReactor makes a few distinct statements. 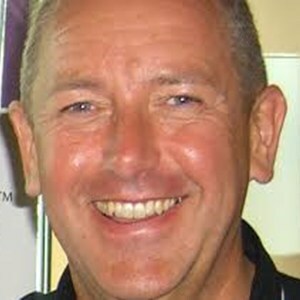 The first being that there will always be a need for improvement and for performance monitoring. By staying up-to-date on developing tech, Intergral’s FR program can continue to reign supreme as the king of APM. Secondly, FR is making updates to its Adobe ColdFusion platform support. This is indicative that CF is not only alive, but continuing to grow and thrive. 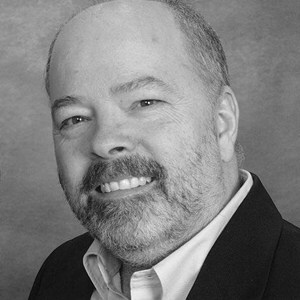 About the Speaker: A veteran server troubleshooter who’s worked in enterprise IT for more than three decades, Charlie Arehart (@carehart) is a longtime community contributor who as an independent consultant provides short-term, remote, on-demand troubleshooting/tuning assistance for organizations of all sizes and experience levels (carehart.org/consulting).